It’s been a while since Fullfull Pocket graduated longtime members Nakahara Alice and Tatsuki Miia. So what’s going on? Well, “Romijuli”, subtitled “Romeo and Juliet” in the promotional video’s title screen is what’s going on! The girls are back with new members Hirose Minori, Sakuragi Yufu, and Tsunoda Suzu (I feel a little bad for not name checking original FFP members Ishii Shiori and Ushiki Hina). The now five-member group check in with the new short promotional video for “Romijuli” lest we forget about them in their training period. Wearing cute red dresses, Fullfull Pocket seem to be gelling nicely in their wood parlor dance shots. “Romijuli” sounds in sync with the catalog of the group formed from the ashes of Karat☆. 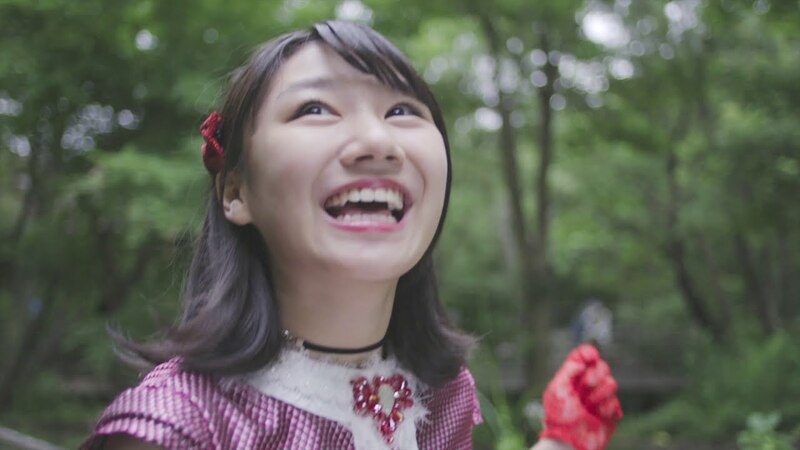 Smiles from every member should do well to brighten your day as the Fullfull Pocket run through the forest in a drama portion of the PV that basically serves to add variety to “Romijuli”. Other shots depict the group as paper cut outs sporting nautical wear and aboard a likewise rendered oceanic vessel. Look for the newly refashioned idol group when they hit the stage at this year’s @JAM EXPO 2018.